Cloud9’s popular AD Carry may be known for his League skills, but his cosplaying prowess is undeniable. After accurate portrayals of Ahri, Katarina, and Zero Two, Sneaky has decided to cosplay for the Riot Games April Fools’ Day stream. In the cosplay, Sneaky went with mostly white, pink, and black, with some red heels to bring it altogether. 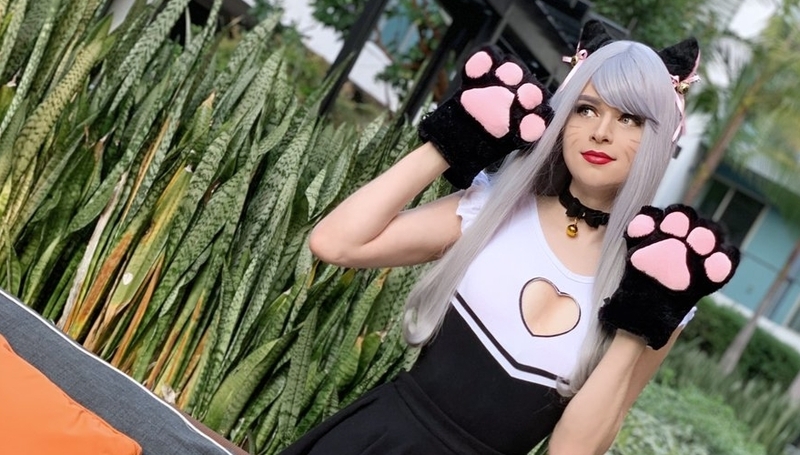 He also wore pink and black cat ears and light hair in the cosplay. As a part of the stream, Sneaky played a game of League showmatch with the likes of “Aphromeow” and “Feral Froggen.” This theme is based off the Cats vs. Dogs event that League launched in late March. With some time off until the LCS Summer Split, Sneaky will likely have some more cosplays coming soon.